‘A’ was a great birthing partner, reminding me to do the feather breathing. It is very useful to have had the time and opportunity to practice and learn things that Ive read in books with supervision and advice, and to learn new things. I found everything useful, the content and pace of the course was good. I think it’s given us both confidence and reassured us. The NHS classes we have attended together have been very much focused on me. It was nice to have the opportunity to pracrtce breathing techniques with my husband rather than by myself. 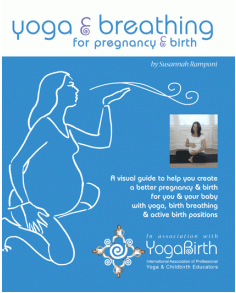 The Yogabirth classes were my only preparation for the birth they provided the facts and helped me determine what I wanted out of the birth – how I wanted the room set up, music, smells, what I wanted and didn’t want from the midwives and allowed ‘P’ and I to prepare as a team. it was all excellent. It was calm and methodical and took the drama away.